Oh, I love your version of this. 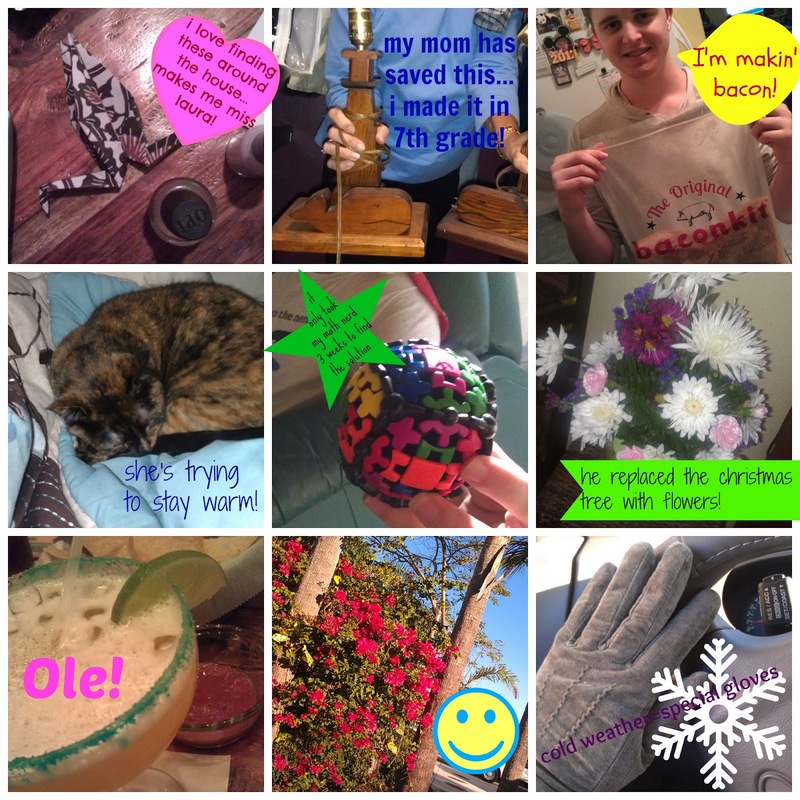 A glimpse into your life with little snippets of photos. Themes plus days make me procrastinate and then the day is done. Ha! Love this…so cute. Cam and his bacon fascination and Laura's paper creations; LOVE! Life looks interesting at your house.If it's as cold there, I hope you have a snugglely weekend!